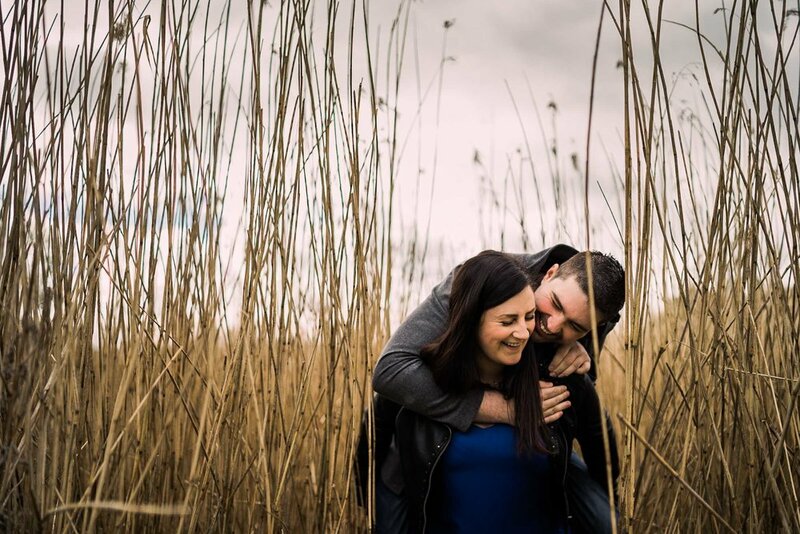 Engagement sessions are fabulous. They are an opportunity for me as your photographer to learn your story as individuals, how you came together, and to illustrate the love that you share. My preferred style for these sessions is very much laid-back. I want to capture some of your individuality through your expressions and interactions, whilst giving you an insight into how I will capture your wedding day. They can be as short or as long as you like, but are usually 1-2 hours, and I am relaxed about tailoring these sessions to meet your ideas and preferences. Some people prefer an entirely documentary approach, whist others expect more direction and creative portraiture. It’s entirely up to you. I usually ask if you have a special location that means something to you both. This allows me to get off to a great start in making these sessions all about you and your relationship. Locations can be anywhere - natural, or industrial - what is crucial is that the location reflects both of you. Places that inspire, or with sentimental meaning. There is no ‘standard’, and often the most special of locations are those in the most unusual places so don’t be afraid to make quirky and obscure suggestions! Clothing. I get asked about this a lot. Like the location, the important thing is that your clothing is a true reflection of you and is comfortable. Often people feel the pressure to look good in front of the camera, and this can end in choosing clothing which may not help you to relax and be yourself. The better you feel in your clothes, the better you will feel in front of the camera. Solid primary colours are a great way of making you both pop out from most environments. Black is tempting but shows every speck of dust. Ideally, your clothing choices should complement each other, but not match. Unless, of course, you wear matching outfits every day! Dress as though you are attending the same event and think about the accessories you can wear which bring your outfits together. Avoid logos, graphics on shirts and baseball caps. Think about the location when choosing colours. If we’re shooting in a park, greens will blend with the environment. Choose something complementary instead that will make you pop from the background, such as blue or red. It’s usually best to leave bags and purses behind. Bulging wallets and mobiles phones in pockets don’t work well in photographs, so either leave them in a safe place or give them to me to carry. Equally if there is something special you’d like to incorporate, or a pet, then absolutely do! If you plan to wear makeup on your wedding day, this can be a good time to co-ordinate your makeup trial with your makeup artist. Cameras have a sneaky way of exaggerating uneven skin tones and blemishes, so it’s important that your choice allows you to feel comfortable and confident in front of the camera, whether it’s no makeup at all or just a little foundation and mascara. As always in photography, confidence is everything. Wear something that you feel comfortable in, feel free to move and something which complements your physical features. My favourite photographs are always those were the people clearly look and feel like themselves. Don’t forget, this is simply a guide. There are no do-or-die rules and I hope that these tips help you in planning for your next session with me. 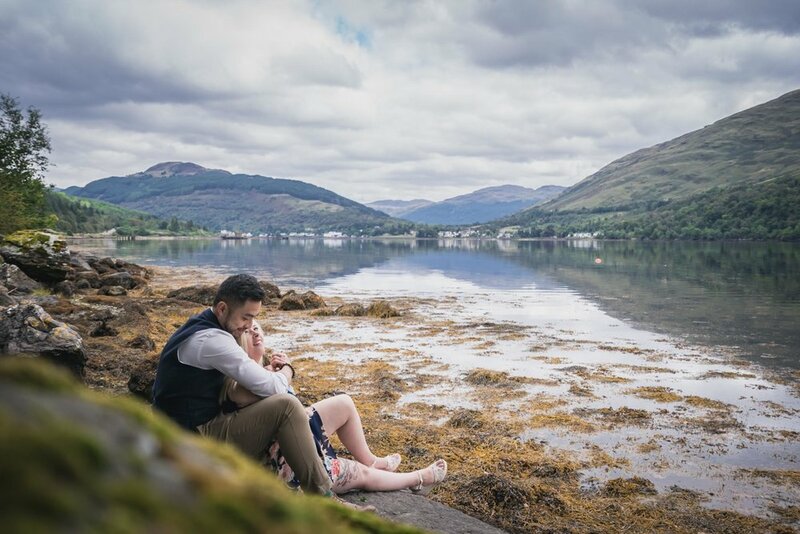 If you've yet to book your Scottish engagement session, drop me a message to check my availability! I'd love to hear your story!